Company: Other large peaceful species. 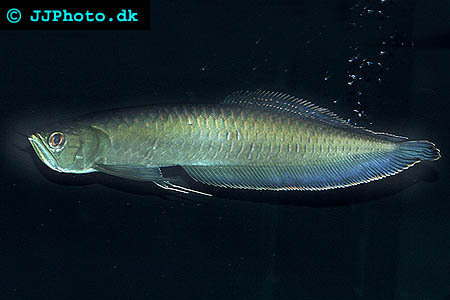 Aquarium setup: Osteoglossum ferreirai (Black Arowana) should only be kept in very large aquariums due to their size. The aquarium should be decorated with a lot of free surface area to swim on. Decorate the bottom after your taste or the preference of the species you keep with your arowana. Make large water changes of 30-40% once a week. Feeding: Floating frozen and live food. After training also pellets. Breeding: Not breed in aquarium.